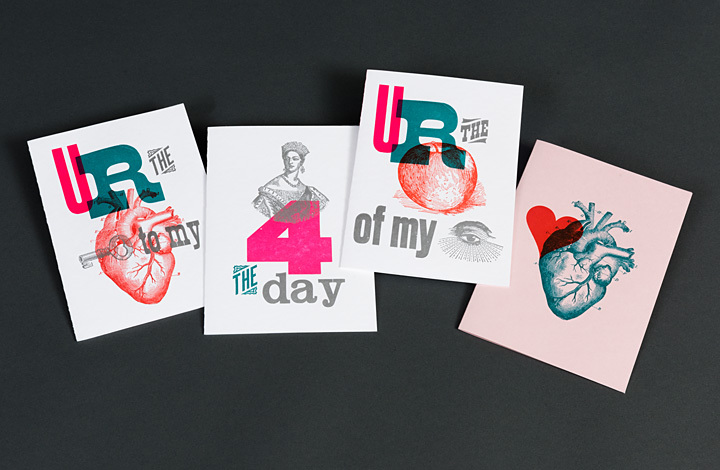 Multiple-color letterpress cards printed by hand with a Vandercook SP-15 letterpress. slide 1. (left to right) You Are the Key to My Heart; Queen for the Day; You Are the Apple of My Eye; ; 2 Hearts as 1 slide 2. 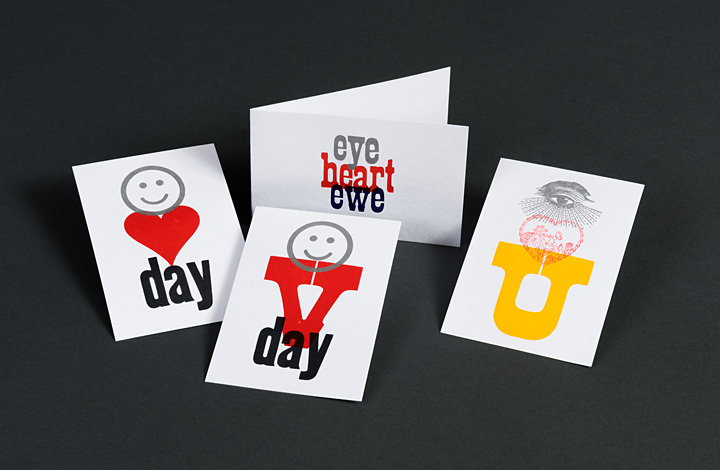 (clockwise from top) eye heart ewe; eye heart U; Happy V Day; Happy Heart Day slide 3. 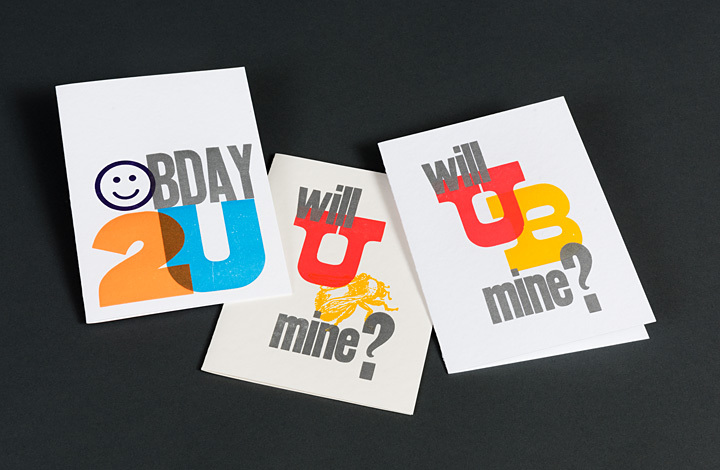 (left to right) Happy Bday 2U; Will You Bee Mine? ; Will You B Mine?